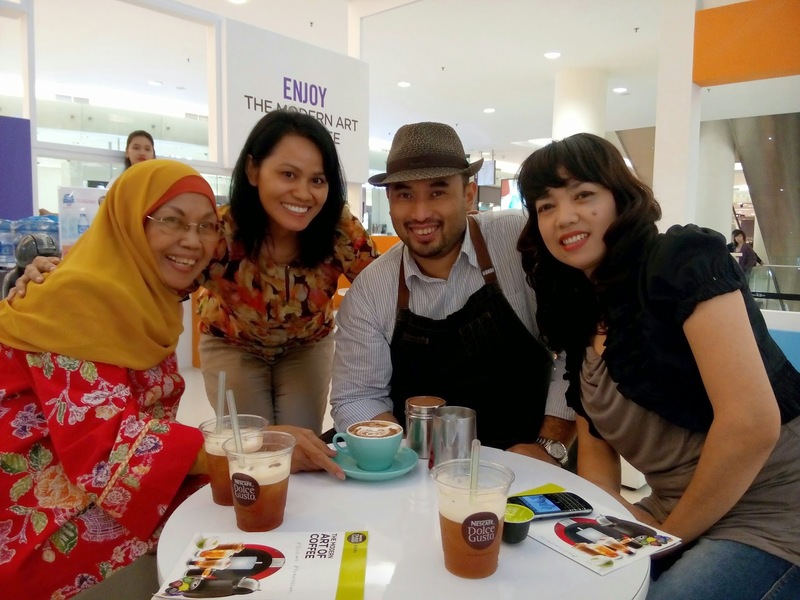 Today, my other two friends from blogging and I were so excited as we were going to learn about Latte art with Nesafé Dolce Gusto in Senayan city, South Jakarta. Arrived in Senayan City about over 1pm. Was a bit late as Bunda and I were attending another event that not too far from Senayan City. Our friend, Maria, was already there when we got there, seemed she was njoying her lemon tea made by Nesafé Dolce Gusto 😊. 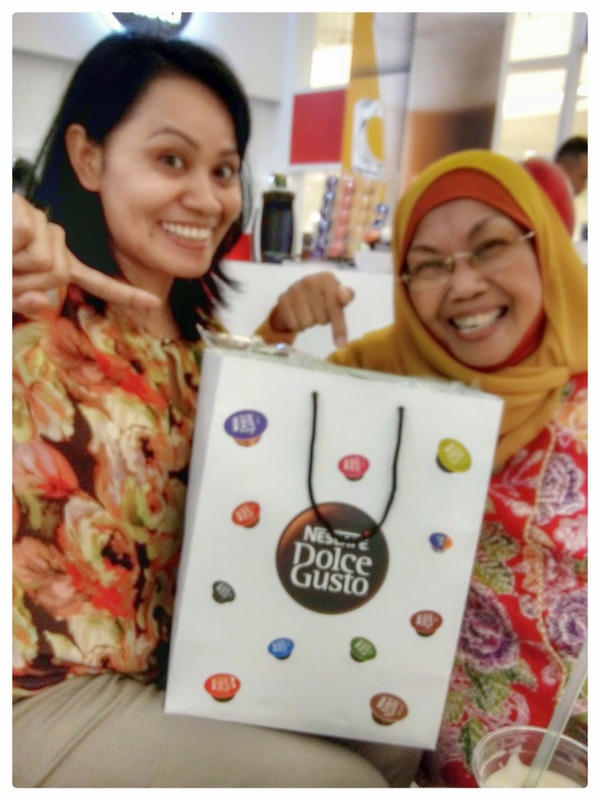 Introduced to Mbak Nunik, one of the Dolce Gusto team, who was indeed friendly and smiley woman 😊. We had a chat for few minutes until .... I was called by the presenters to have a chit chat. From that very short chit chat, they gave me a nice gift. 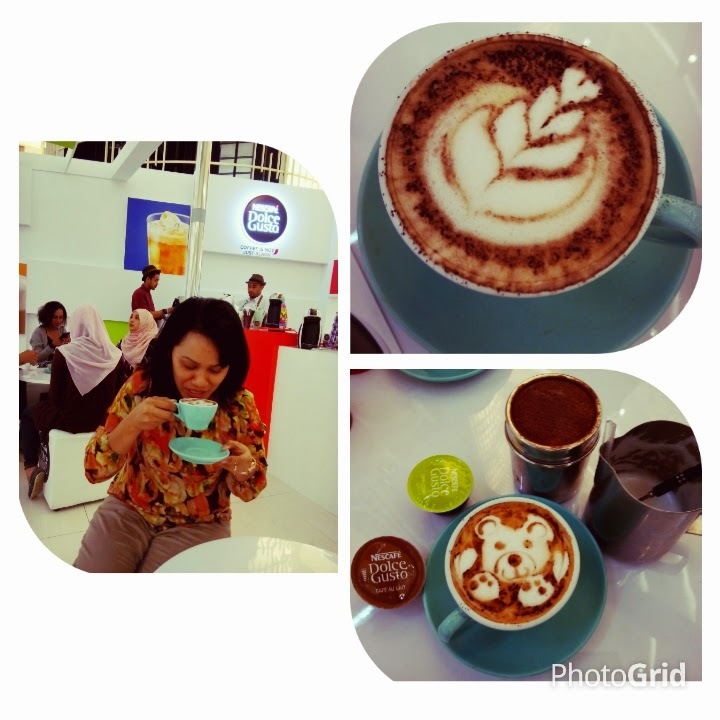 I myself is a big fans of coffee 😊. I think I start to drink coffee since two years ago. I didn't really drink much coffee, and I think I remember the first time I tasted it - I didn't like it at all 😄. But then gradually I know how nice coffee is to company my morning. I learn to know about coffee more, from all coffee I drink, I finally know what I really like: Pure black coffee or latte, both no sugar. The latte art class was very interesting. They have two guys who teaching us how to make your latte more interesting. 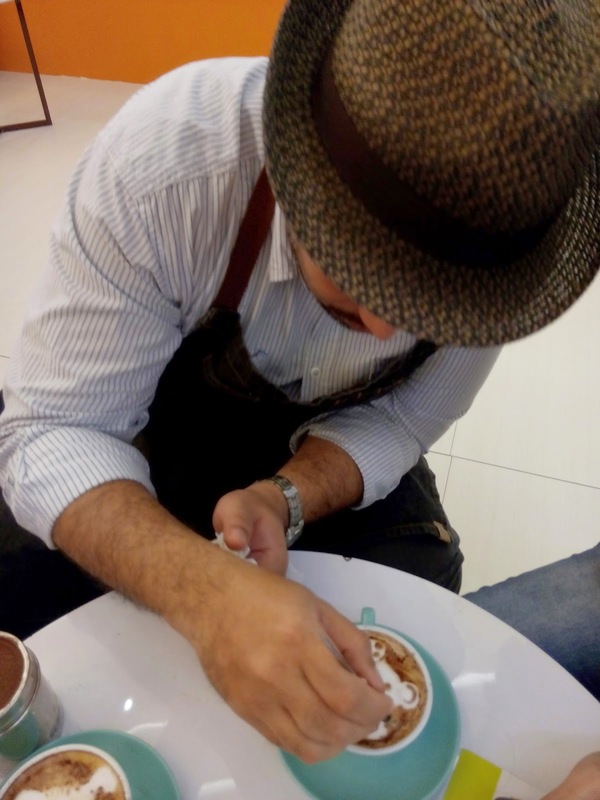 I got a bit knowledge from this guy named Adi, that making latte art isn't that really difficult. For beginner, he said we can get the idea from Google. According to Adi the difficult part is to make the foam. 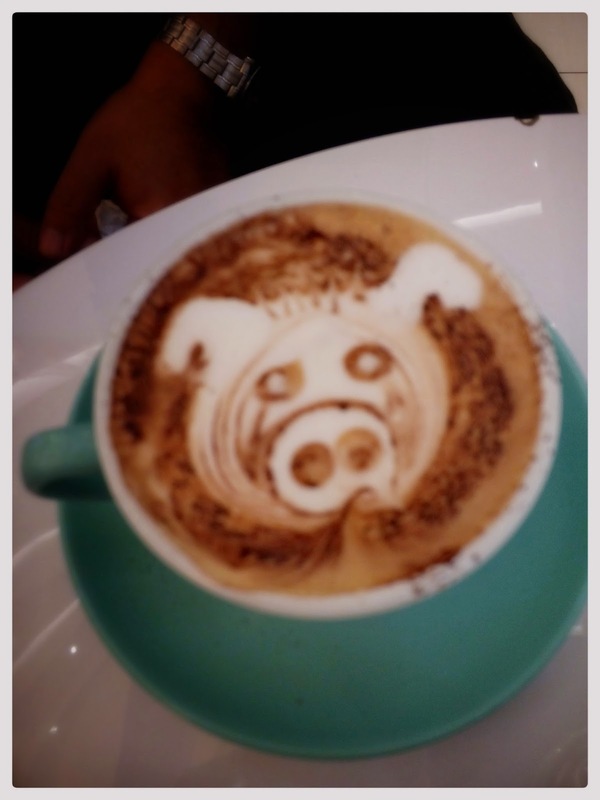 There is a technique to make good foam before you can make art on your latte. Manually is usually harder than if using special coffee maker. So we don't need to worry have to work hard to make the foam. 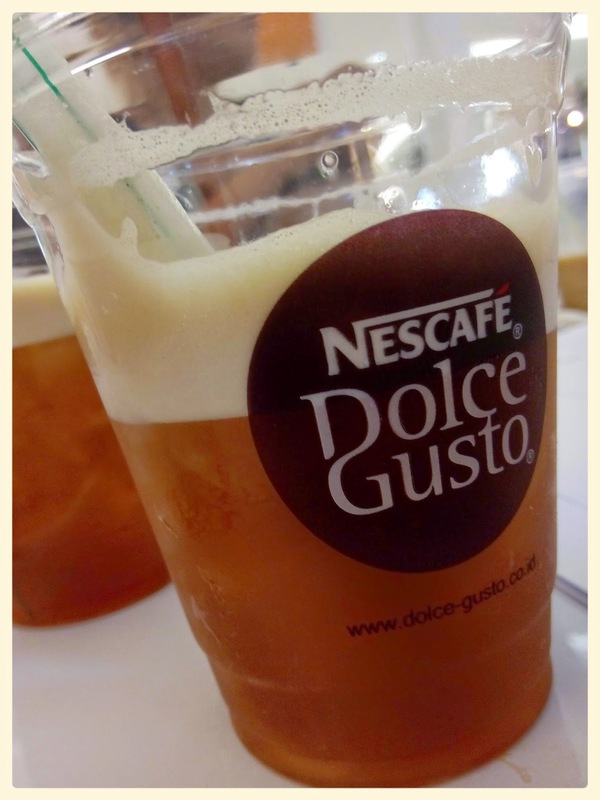 In fact, Nescafé Dolce Gusto has that to safe your time and avoid failure for making perfect foam. Two hours passed so quickly. We indeed enjoyed the class art until around 4pm 😁. At the end, we won two cinema tickets to watch the new movie of Avenger. Yeah! And yet, I brought two nice gifts from them! What a day 🙌!